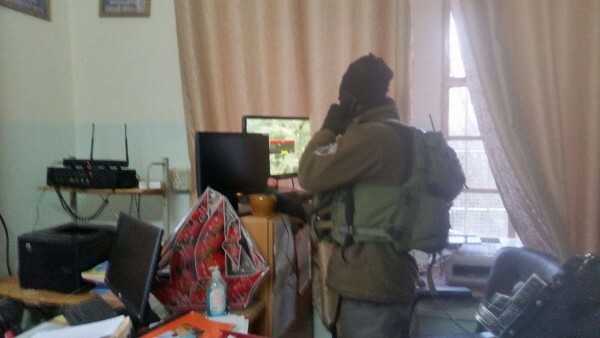 In the afternoon of 5 January 2015 Israeli Forces raided Al Faihaa elementary school for girls in occupied Al-Khalil (Hebron). Children were not in school at the time, only teachers were present. 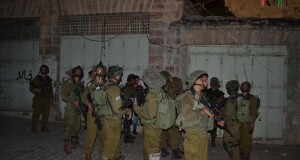 The team of around 8 soldiers entered in order to retrieve video footage from the school’s security system and take photos from the roof which overlooks the checkpoint where a soldier was shot a few days prior. This is one stop of many places the military has raided in search of evidence of the unidentified shooter. The headmaster of the school informed that she was kept at gunpoint and not allowed to leave for an hour. She asked the soldiers to call the Minister of Education and speak with them as she was alone in the office, but they confiscated both the school phone and her personal cell phone leaving her unable to make any phone calls or take pictures. 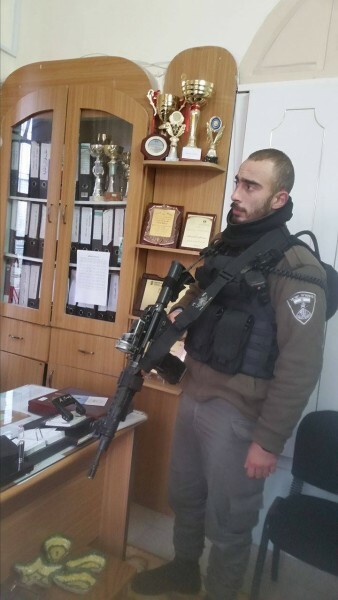 This is not the first time Israeli forces have entered the school. In previous weeks, soldiers entered the courtyard during school time while students were preparing for exams to fire tear gas at a neighboring boys’ school. The school is now on holiday for three weeks, and the headmaster, working at the school for 2 years, explains, “I should come to work during vacation 1 day a week, but no teachers or anyone will come so its not safe.” In addition to facing terror from soldiers, teachers and students have also endured harassment and attacks from settlers. The school’s population has dropped in the last year from 260 students to 252, but the headmaster explains that she refuses to transfer students to other schools because “they” (the Israeli Forces and settlers) want this area and the school closed. The school and the neighboring family home where soldiers also entered to take photos, are the only things still open in the area right next to the closed Shuhada street where Palestinians are forbidden. 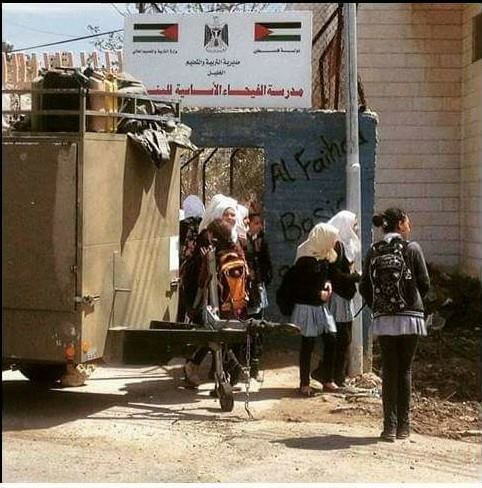 Thus keeping the school open and running is important and a form of resistance against the occupation.